David, if you’ve followed all the guidelines in this blog and all your devices use the new Wi-Fi standards, you may want to troubleshoot with one of our repair advisors. You can give them a call at 1-888-225-5837. Dave, I’m going to hide your last comment because I don’t want your phone number “out there.” For expert help, your best bet is to work with our Technical Support team—we can’t troubleshoot with you over the blog. The TDS modem only provides a 2.4 GHz radio, which is very prone to interference, and lacks the throughput to deliver high speeds. It is true that your wireless will only run at your slowest(oldest) device. 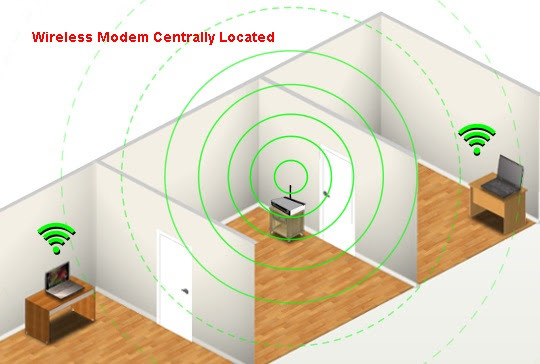 Investing in a Dual band wireless access point(2.4GHz and 5 GHz) is the key to getting higher speeds. Newer devices will connect to the 5GHz band, which does not have much interference and has higher throughputs. Also look for access points that support wireless AC and MIMO 2×2 or 3×3(channel bonding). These technologies can deliver wireless speeds up to 1 Gb, if you have the devices that support it. I too have the 100Mb internet at home and invested in a good wireless access point. Every devices I have(IPhones, IPads, laptops, etc) get 100Mb wirelessly with no issues. Dave, your Wi-Fi speed is going to depend on many factors, not just the modem itself (as both the blog and Jason’s answer above point out). We will have someone contact you this afternoon to help troubleshoot. TDS internet tech services called and stated the best I can get with their wifi modem on a 100 mb service running tdstv and my iPad and iPhone on a wifi basis is 25-35 mob upload or download. Eric stated you were incorrect and not an employee of TDS and were not presenting accurate facts about TDS service. I think it is a shame when TDS can not/will not admit their wireless modems they provide for customers are inferior. My modem is in the main room of the house. My laptop is next to the wireless modem and yet, service is spotty, iffy. When calling TDS for suggestions, this is the email they send, a useless blogpost. To upload and download at a reasonable speed, it is a necessity to purchase a wireless modem from an independent contractor. IQrouter. Ten times the speed TDS is capable of offering. Too bad they aren’t embarrassed. Why did TDS let my speed(15MB actually about 10 but paying for 15mg)slow down and not tell me about it. I been running at less than 1mb for a very long time and still paying for 15Mb. I told them if that is all I will get then change my bill to show I am paying for 1mb. So they did and then charged me a service fee. I was furious but I can’t get any other service provider so they are stickin it to me. They claim that so many people have signed up that they took away my bandwidth. I think the sacrificed my line for to put in another line somewhere else. Has anyone else had trouble with TDS causing this problem or am I the only Retired 30 yr computer tech rep that is having this problem?? ?